When it comes to goat, we Brits are a barmy bunch. Unlike South Americans, Indians, Caribbeans, Middle Easterners, Greeks, Sicilians, and everyone else who merrily munches away on the sweet meat, we seem to get a touch of the vapours should anyone even suggest we might chow down on the animal formerly known to his mates as ‘Billy’. But that British blindness about Billy goats means that there’s a vast amount of meat going spare – leading to needless food waste that would make many deprived societies go spare. Our artisan cheese-loving, goat milk-swilling, dietary sensitivity-riddled middle classes drive a dynamic dairy industry, but are disgusted, disinclined or dimly enlightened regarding gobbling the meat of the males. It’s nothing to do with money – at either end of the socio-economic spectrum there are pockets of acceptance; both those in money-poor, culture-rich mixed communities and Prince Charles-types galumphing around their estate in their galoshes get goat. But it seems like the majority in the middle are yet to be convinced of the meat’s merit. Perhaps chef Cyrus Todiwala is the man for the job. The man behind Assado, Cafe Spice Namaste and Mr Todiwala’s Kitchen is very, very vocal on many food issues, and this one in particular gets his goat. Do you think the current horsemeat scandal will make people more or less accepting of goat as a high-quality, assured protein source? Why the British public need to ‘worry’ or be afraid about consuming goat, I know not. Travel is so common, and in most Asian countries people will be given goat instead of lamb – in many countries ‘mutton’ refers to goat. I think the recent events have provided an excellent opportunity for us in Britain to try another great British meat. Why is there so much surplus goat meat in the UK? We don’t currently have ‘surplus’ goat meat as such, because so many animals are simply destroyed at birth if they happen to be male kids. If those thousands of males were raised for consumption rather than being wasted, we would have an abundant, economically viable new protein source. Killing without allowing life to be led is a crime in itself. Why do you think people are afraid of using goat meat? It’s an education issue- because they are sadly ignorant of its excellent qualities and unsure about how best to use it. Goat is a lean protein with a low saturated fat content. The increased musculature of the animal means a sweeter meat with a superior flavour attributed to the goat’s varied diet. How would you describe the flavour of the meat? Goat has a distinct, pronounced flavour, in the same way as lamb, but lacks the pungent aroma often predominant in that meat. Goat’s eating qualities are heavily nuanced by diet. Typically grazing on varied pastures, it develops a marvellous flavour. In cooking, goat both readily accepts strong spicing and eats well in its own right. What are the health benefits of choosing goat meat over other proteins? We should all moderate our intake of meat as a primary protein source, but in comparison to other animal-based sources, goat is lower in fat and saturates than most of its peers. It is easier on digestion and easy to cook with. In your opinion, which cuisine makes best use of goat meat? Indian! Need I say more? The carnivorous Indian population alone numbers in excess of 550 million across the subcontinent, with the 300 million Muslims among them especially fond of goat. That means a vast number of recipes and cooking methods. Indians prize goat, and waste nothing. The offal is a particular delicacy and very highly regarded. What should shoppers look for when buying goat meat? The meat should be pink; not red. In comparison to lamb it will always have a less fatty appearance, and should be firm but yield to pressure. In terms of cuts, all are good – just be sure to select one appropriate to your intended use and cook different cuts separately. What are the best ways to cook goat meat? Indians treat it just like lamb. Goat is spectacular in stews and curries. But if attempting a traditional British roast, watch out, as goat has a more muscular, lean structure and needs gentler treatment. To cook it this way, brown off the meat and then cook long and low, covered, basting regularly to prevent drying out. Too high a heat destroys fibres. Do you think chefs in the public eye could do more to promote goat meat? They emphatically could, need to and should. It is most necessary if only to prevent the unwarranted killing of baby kids at birth. Media and celebrities could do a great deal by promoting the meat. What benefits would an upsurge in consumer interest and demand for goat meat bring to Britain? Procuring the meat would become easier – currently supplies are irregular and too scarce. Adding these animals to the food chain would reduce stress and pressure on the lamb industry, providing of an alternative, affordable protein source to the increased number of British people suffering food poverty. Greater demand would mean a more reasonable pricing structure, benefiting both the consumer and the farmer. The dairy industry would finally be forced to face up to their responsibility to ensure male animals are well-raised and brought into the food chain as a sustainable commodity. Do you use goat in your own restaurants- and where do you source it? 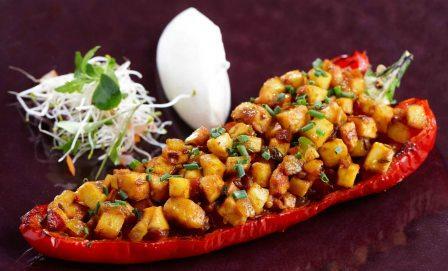 We offer it as specials at both Cafe Spice Namaste and Mr. Todiwala’s Kitchen. Unfortunately British diners are not yet receptive enough to make goat a menu fixture, and our own procurement price remains rather exorbitant because of the lack of UK suppliers. This could change if the British would begin to find the idea of eating such a high-quality meat more palatable. Then, as prices fall and demand increases, we could start to actively encourage other restaurants to put goat on the menu, and food retailers to stock it. So far, you’ve made Indian food ‘new’, ‘easy’, and, in your last book, ‘vegetarian’. What’s next? I suppose next is a reflection of how I feel we like to eat these days. Can’t say more than that yet, it is still a work in progress and has no proper title. What’s your own culinary heritage and what does this mean in terms of your khana? My food heritage is Punjabi via Switzerland! So I equally love proper Northern curries, paranthas, paneer and raitas as well as raclette, Bircher muesli and other Swiss and middle European dishes. We’ve seen you cook up feasts from all over India – aside from your own cuisine, which regions most inspire you, and can you share a few favourite dishes? I think there are amazing dishes from all over India so that is a really tough question and I am and have been inspired by each different region at some point in my writing and cooking. I do love the food of Rajasthan; they have great meats, fantastic Royal dishes from the palaces but also great simple vegetarian dishes (all quite rich though). I also want to further explore the food of Hyderabad for its Mughlai-meets-the-South fusion and their salans, the region of Lucknow for its heritage again and kebabs like galouti kebabs. What ingredients and equipment would you deem as essential for building a basic Indian pantry? I would say a good handful of spices such as cumin seeds, coriander powder, turmeric powder, garam masala and mustard seeds. I also think some whole spices llike cinnamon, cloves and cardamom helps create deeper flavour. I always have dried lentils, Basmati rice and chappati flour in my larder and my fridge will always have yoghurt and coriander. After that you just need some fresh ingredients. You taught me to make a mean paratha – which other Indian items do you think people would find are far easier to make than they’d think? I think Indian food can be so much easier to cook than people imagine. Paneer is another ingredient that surprises people in its ease of cooking, all Indian breads are easy to make, onion bhajjis, lassis, most curries, rice, kheers and kulfis (need patience not skill). The only thing I would advise people not to attempt is the poppadom! The only thing they need is a good recipe. You’re known for following an ayurvedic lifestyle – could you briefly outline what this means day-to-day and how it improves your quality of life? For me eating in an Ayurvedic way just means I like to eat with awareness. I balance my meals and eat a varied diet. I try to make sure that I have all the 6 different tastes if not everyday then almost every day. My lunch is the biggest meal, my dinner the smallest, I don’t drink water with my meal and only sip hot water after. I never eat fruit with other food and I don’t eat if I am not hungry. I do eat whatever I want but try to eat in moderation and with an eye on good health. Can you share any handy kitchen shortcuts and secret tips? I blend a lot instead of chopping. I prep the first ingredients first and start to get them cooking as I start on the next lot. I multitask and do a lot at the same time but as a consequence I create a real mess. You seem to have the elusive art of cleverly re-working and augmenting classic recipes without them becoming ‘fusion disasters’ – how do you go about incorporating non-Indian ingredients in traditional recipes? Do I? Thank you! Whatever I do, it needs to make some sense to me from an Indian point of view and a Western one. If it jars with me, I think twice. I am not in the business of shock and awe so I don’t feel the need to do outrageous things with food. I just try and write recipes for dishes I would want to eat with a wide variety of ingredients. I know you’re always enthusing over some new ingredient or edible discovery – what’s got you excited lately, how did you come across it, and how are you experimenting with it? There is nothing new right now but in my new book, I seem to be very excited by Goan (or any other) fresh chorizo, lemon, dill and physalis, not all in the same recipe. These are being used and experimented with in many different ways. You won a World Food Award for ‘The Spice Tailor’ range of sauce kits – what do you think it is that makes the products stand out and gain such great feedback? I would like to believe it is the taste. You have a very diverse portfolio and a crammed calendar with all your endeavours. What’s your background? Twenty years back I worked at Chutney Mary, but since then I’ve been employed as a member of the British Airways’ cabin crew. Having travelled the globe I’ve had the privilege of experiencing some of the finest restaurants around the world. This, combined with my background in customer service, was the inspiration for opening my first restaurant, Bloomsbury’s Salaam Namaaste, in 2005. 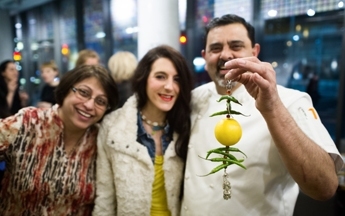 Five years on, I launched the sister venue, Namaaste Kitchen in Camden. I’m still on BA’s books, but now only work part-time. I don’t think that there are many chefs who split their time between working as cabin crew and the kitchen! But, for me, it is a vital part of my life. Travelling to different countries ensures that I come back with tons of inspiration for my restaurant and the food we serve. What were the inspirations behind both Salaam Namaste and Namaaste Kitchen? I love good food. I’ve travelled a lot and been able to experience the very best of Chennai, Bombay, Pakistan and Bangladesh. I’ve tried many cuisines and befriended some of the world’s finest chefs – not to mention sourced lots of recipes! Salaam Namaste is a very authentic restaurant and became my outlet for all of those different influences. Now I can share my experience and offer this discovery to my customers. I love serving people. I love seeing their satisfaction, it’s a great feeling and that’s probably what keeps me going. How is the experience of each of the restaurants different, what type of diner does each attract, and what puts them head and shoulders above other London Indian restaurants? Namaaste Kitchen is a modern bar and grill specialising in modern and healthy Indian cooking that boasts style, ambience and fantastic hospitality. We serve authentic Indian and Pakistani grills, prepared in the restaurant’s spectacular show kitchen, in full view of diners. It’s received great critical-acclaim. Since opening in 2010, it has established itself as one of the best Indian restaurants in London and has received glowing reviews from The Telegraph, Time Out, BBC and the Evening Standard, as well as being awarded ‘Best Newcomer’ in the prestigious Asian Curry Awards 2012. Salaam Namaste, meanwhile, serves the finest cuisine from all over the Indian subcontinent in an stylish, informal setting. By combining Indian culinary traditions with a diverse and progressive menu, we offer the most exciting flavours the region has to offer in the form of both well-loved classics to exciting, contemporary dishes. What are the best-selling dishes at each restaurant? At Salaam Namaste ‘Jigha peri peri’ – a green chicken curry from Goa – is very popular. Namaaste Kitchen diners love grill items like Peshawari lamb chops, made to an authentic recipe from the iconic Bukhara restaurant in Delhi. The beef kebab cooked just like they make it at Karachi’s BBQ Tonight does well, as do chargrilled king prawns and Goan sea bass. What are your personal favourite dishes? All the dishes that are on the menu are favorites, but in particular our Dumpukht Biryani – A famous recipe from Delhi combining rice and Welsh lamb shank, cooked together in a sealed pot. I love Moru Kachiathu – an intriguing South Indian mix of sweet mango and green banana cooked in yoghurt with green chillies, ginger and fresh curry leaves. From Pakistan, Gurda taka-tak – lamb’s kidney – is always delicious. Some more favourites – Peshawari lamb chops and Goan seabass – were the dishes that won me the accolade of ‘Best Asian & Oriental Chef 2012’ at the Asian Curry Awards. I want to open our guest’s eyes to some of the truly thrilling taste sensations that can be found across the Indian subcontinent and that are sometimes almost impossible to find on UK menus, and I do that by using authentic recipes in an innovative way. You often put on regional Indian menus – which region’s food are you most fond of? Our Regional Food Festival ran throughout 2013 and was very successful. We set ourselves the challenge of focusing on a diverse region each month, like Goa, Lucknow, and Mumbai. The menus featured everything from resplendent Moghul dishes to street food favourites. We also showcased Bangladeshi food, a new cuisine for many of our customers. Pakistani and Anglo-Indian dishes such as our best-selling Lahori tawa lamb chops and chicken livers on toast always feature on our a la carte menu. This year we are concentrating on our seasonal menus which using the finest produce to create a wide selection of new dishes . We have had great feedback from our customers who tell us that they are happy to have their perceptions of Indian food and their palates challenged at Namaaste Kitchen. They can get a half-decent curry anywhere, but Goan roast beef and tongue; Hyderabadi ‘chakna’; or Mumbai’s famous bheja fry? That’s a different matter! What are your greatest achievements with the restaurants? We were nominated for the British Curry Awards 2011 and made it to the finals. Noted critic Fay Maschler named Namaaste Kitchen as her favourite restaurant in ES magazine. Last year Namaaste Kitchen was nominated for Best North London restaurant in the Curry Capital of Britain Awards 2012 and won the Best Newcomer at The Asian Curry awards, whilst Salaam Namaste was a London finalist at the British Curry Awards. 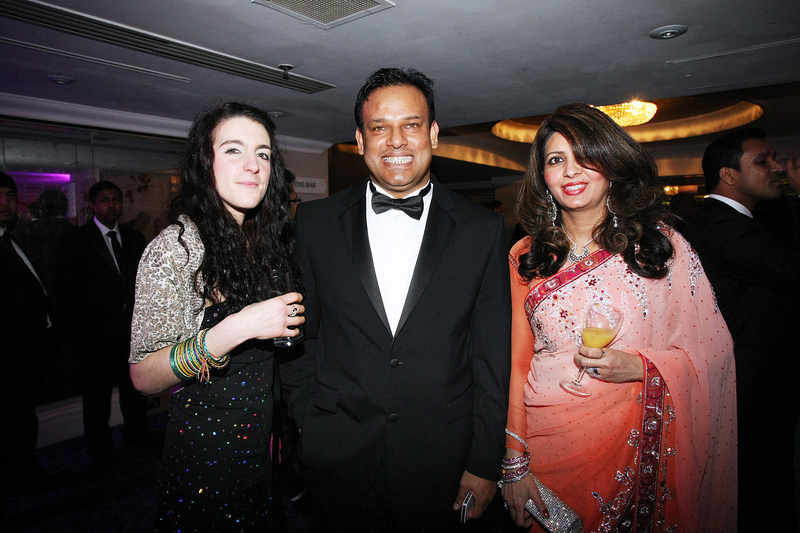 Personally, I was named Best Asian & Oriental Chef of The Year 2012 at The Asian Curry Awards. Most recently Salaam Namaste has won a Certificate of Excellence from Trip Advisor. Each accolade is really exciting and nominations and awards really motivate me to spend more time in the restaurants and excel in what we do. 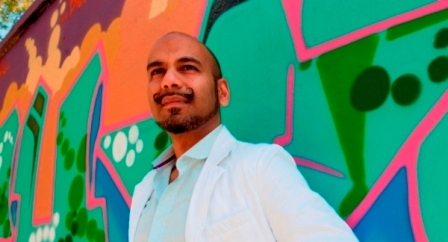 You recently fed blogger and author Dan Tooms, aka ‘The Curry Guy’ – what did you serve him? Dan’s an expert and connoisseur of Indian food, so I wanted him to try almost everything on my menu. He had a feast of tandoori mustard quail; Indian street-food favourite paani puri; a tandoori platter including those Peshawari lamb chops; Bengali ‘talli machi’ using orange tilapia; and a summer berry cheesecake for good measure! Who are some of the most colourful characters you’ve fed? We frequently get celebrities and food critics dining at both of the restaurants… but I respect their privacy too much to name names! We’ve fed film director Mike Leigh; London Mayor Boris Johnson; presenter Dermot O’Leary; and David Milliband. But I find that the most interesting people are my customers. I have many loyal customers who are always supportive, and I enjoy chatting with them. What’s happening at the restaurants? As you may know, this year I’ve had a complete refurbishment at Salaam Namaste to provide a more modern and comfortable setting for our customers. I have also introduced a very exciting and diverse menu which has been really well-received. This year, we’re concentrating on the seasonal menus to promote local produce, businesses and farmers. Obviously, nothing beats using local and seasonal ingredients. It guarantees that your customers are getting the freshest food possible. I am a big fan of sustainability… and great taste! When commanding a kitchen, self-styled ‘Urban Rajah‘ Ivor Peters cuts quite a dash. He’s also quite slick when it comes to cutting piles of onions down to size in a dash. Indeed, you might say that this fellow ‘knows his onions’ when it comes to Indian food. And so he should, growing up in a rambunctious family where excellent food was every bit as important as having most excellent fun. ‘Fun, family, food’ – an alliterative triumvirate which neatly sums up what Ivor is all about. He’s no food snob, believing that food is a handy device with the power to democratise and dance across all manner of divides – drawing together diverse folks as they dine. This autumn, he’ll be fostering fun and familiarity on a grand scale with the Great Indian Food Feast banquets. During my early days as a bachelor living in a tiny flat with lazy food habits, my taste-buds performed a coup d’etat and forced me to try the home-cooked food I grew up on. I tried my hand at one of the simplest Indian dishes, Keema Aloo, and brazenly tipped in a generous dose of what I took for paprika from my newly-acquired spice rack. Gulping down my new creation, I experienced a nuclear explosion at the back of my throat as there appeared to be a case of mistaken identity between the paprika and the red chilli powder. To this day, I always double check. ‘The Curry Memoirs’ shows how the Urban Rajah became a daddy in the kitchen through paternal lineage – what did the women in your family bring to the table? Well, as is universally the case across cultures, most men enter the kitchen for a spot of glory-cooking when they have an audience to play to. However, the reality is that the vital everyday routine of family meals were catered for by the women in our family, meals which to this day are still my go-to comfort dishes. It’s clear that for the Rajah, food and family are the happiest bedfellows. What foods make this fellow happiest when you’re chilling with the clan? Given that I’m regularly cooking for the folks, I love it when I’m being treated, especially to the sweet-and-spicy delights of Lamb Pulao and sweet Zarda rice. Muddling the two together feels a little like putting the Prince and the Pauper in the same room together… not quite right, but very entertaining. In the Urban Rajah’s expert opinion, what’s the definitive recipe for success when getting together a gourmet get-together? Actually, give us a few – hungry guests and a lack of choice are surely the key ingredients for a recipe for disaster. Well, it’s good to remember that first we eat with our eyes, so treating hungry guests to an energetic and imaginative presentation of dishes is the first stop. If you’re hosting a small intimate gathering, delight and surprise with a series of smaller dishes rather than the usual predictable 3-course menu. That way, you get to experiment and give guests a choice, and will also be regarded as a foodie rock-star! For larger, less formal get-togethers, where catching up with mates is the focus, choose unfussy and hearty dishes which invite second helpings. ‘One-pot wonders ‘are great, and the food will be remembered as a vital character in a vibrant evening. You’re a chap known for cutting a bit of a dash – What inspired the Urban Rajah’s trademark style? Life’s too short not to be remembered, and when it comes to appearance, mediocrity is like drinking tepid water…what’s the point? In terms of style, you’ve got a great ‘Brindian’ fusion thing going. Fess up, does this extend to your cooking – A dollop of Marmite in your dal makhani, perchance? Growing up with spice, I’ve become accustomed to introducing whole and ground spices to everyday cooking, regardless of whether it’s Indian food or not. Spices simply make food come alive. So recently I’ve been playing around with curried batter for my fish, and garam masala dust for my chips…but always served with a squidge of classic Heinz Tomato Ketchup. The Urban Rajah is a cool, calm and collected customer, pretty laid-back when it comes to culinary creativity. But you must draw the line somewhere – what kitchen crimes are sure to get your well-waxed ‘tache in a twist? When someone tells me they’ve cooked a curry and all it involved was simply emptying a jar of gloopy, ready-made, dumbed-down sauce into a pan of anaemic chicken. That’s not cooking – it’s called ‘heating’ and should not be for eating! Your ‘Great Indian Food Feasts’ partner in crime, Indunil , is a friendly chap, not half as fiery as his Sri Lankan food suggests. How did you two hook up, and what dishes from Indi’s remit take the Urban Rajah’s fancy? I’m very excited to be working with Indunil. We started cooking together at the BITE Food Festival in Chipping Campden, Gloucestershire, where he’s also Head Chef at The Noel Arms. We did a Spice Masterclass together, and as soon as I tasted his Black Lamb Curry it was love at first bite. Recently, I’ve been totally enchanted by his Andra Pradesh Fish Curry, which we’ll be featuring in the Great Indian Food Feasts as it also has roots in Mughal cuisine. C’mon, there must be more on the menu than mere food…What can guests expect from the forthcoming ‘Great Indian Food Feasts’? Well, we thought we’d mix it up a little. Rather than simply presenting great food from across the Indian subcontinent, I’ll be treating guests to an insight into the stories behind the dishes, spinning them across regions and landscapes. We’ll also be inviting our foodie diners to get stuck into a hands-on pudding demonstration with Indunil , and I’ll be signing copies of my book, ‘The Urban Rajah’s Curry Memoirs’. So ,all in all, a multi- sensory journey into Indian food. The Urban Rajah clearly enjoys the odd ‘Culinary Adventure’. Could this be a cheeky hint of things to come, perhaps? There are two constant themes in my life, travel and food. The two go hand in hand. Over the next few months I’ll be kept busy as we bring the taste of Hill Station cuisine from across India and Pakistan’s northerly reaches to diners in the form of indoor Hill Station Picnics. Plus we’ll also be rolling out our street-food offering, Urban Rajah Grill – giving hungry pedestrians a welcome reprieve from hunger pangs as they sink their teeth into tender marinated kebabs. There’s more in store, but with all that on the menu, my full plate’s spicy enough at the moment! Snaffling yet another of Cinnamon Kitchen’s smoky-as-you-like lamb seekh kebabs wrapped in roomali roti, I give silent thanks yet again that Vivek Singh decided to defy family expectation and become a chef rather than an engineer. The Cinnamon group – Club, Kitchen and Soho– has arguably become a beacon for excellence in Indian food, both in the capital and beyond – embracing both traditional and modernity in a marvellously fluid manner which often surprises but never jars. Vivek is inspired by the seasons, using abundant ingredients to turn out a menu replete with traditional Indian classics given that inimitable CK twist. The restaurant is pretty smart, but there’s a conscious move away from formality and structure. Dishes are served in a relaxed manner with little concern for the rigid, multi-course menu, and guests are as welcome to order a drink and a grilled dish as a full-blown feast. Although, once you start sampling, that might be the logical conclusion. Marco Pierre White and Eric Chavot are two chefs Vivek credits as his own culinary inspirations. Chavot has been a close personal friend since he was founding menu consultant for Cinnamon Club a decade ago. 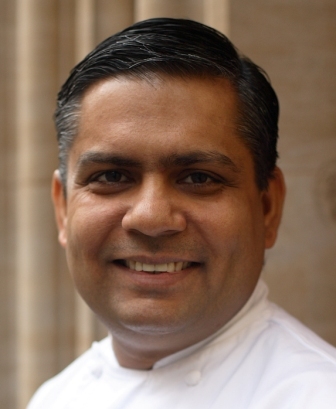 He’s also vocal about the UK’s future talent – loyally citing three of his own team as ones to watch – Raju and his playful cooking at Cinnamon Soho; Rakesh’s measured approach at Cinnamon Club; and Abdul at Cinnamon Kitchen, whose flare, Vivek says, is evident in everything he does. 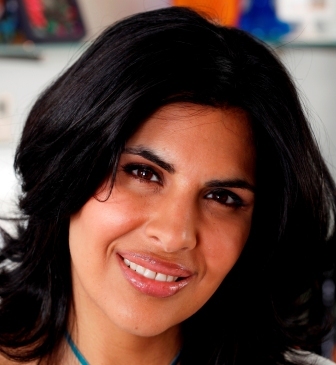 It’s not all incestuous (albeit deserved) backslapping, though: Vivek also rates Paul Foster and Masterchef winner Shelina Permalloo pretty highly- and has acknowledged both their skills with guests stints in his kitchens. He does escape, occasionally, though- when you might find him dining at Hunan, Hawksmoor, or a branch of Mirch Masala. After a heavy shift, there’s nothing that sorts the chef out better than a gin-based, spiced ‘Calcutta Cuppa’ at Anise. All that recipe testing took its toll on Vivek, but he’s recovered sufficiently to think about a menu he’d create with favourite dishes from the book. A Spiced Kir Royale and pao bhaji might do for a late-night snack with friends, but to seriously impress, he’d opt to awe with chargrilled broccoli florets, rose petals and almonds; rump of lamb with garlic and spinach sauce; and grilled aubergine with peanuts; finishing victoriously with his legendary spiced pistachio cake. Where’s my invite?! But, for all that gastro-genius, sometimes a magician like Vivek just wants to conjure up the kind of homely fare that reminds him of India. That’s the butter chicken so loved in Delhi; masala dosa- breakfast of choice in the South; sweet-toothed Bengali’s rosso gollas; the refined Moghul-influenced biryanis of Hyderabad; and Mumbai beach snacks like bhel puri and pao bhaji. For these, the family-style canteens and snack kiosks of London’s Indian enclaves are a welcome hangout. On Green Street, or Drummond St, or in Tooting, Wembley and Southall, Vivek can sample the regional specialities he thinks the British are becoming more receptive to. These areas also offer boundless opportunity for the chef to stock up on his kitchen essentials- pestle and mortars for grinding masalas; pungent mustard oil; kalonji, or nigella seeds; sweetly aromatic fennel seeds; fresh chillies and coriander; and turmeric- versatile, haunting, and a bugger to get out of your whites. It’s a rare thing, in any industry, to have a character as talented and successful as Vivek who manages to retain every ounce of their humour, warmth and generosity- even rarer amongst chefs. 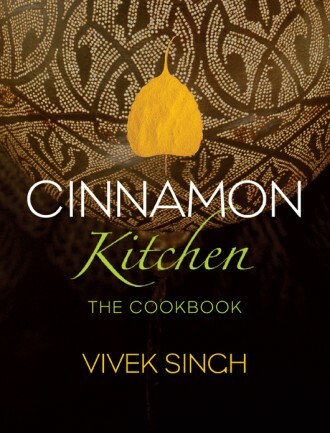 But then, as evidenced by Cinnamon Club, Cinnamon Kitchen and now Cinnamon Soho, Vivek’s never been one to go by the book. Unless it’s his new cookbook, that is- in which case he’s as committed to following the formula- as you will be, conjuring a little of that Cinnamon magic in your own kitchen. For more on the Cinnamon group restaurants, visit Cinnamon Club, Cinnamon Kitchen and Cinnamon Soho’s websites.